No sharks! Another time for them. This was inspired by some massage table conversation shortly before we got to work on my ITBs and quads. From that point on it was mostly just swearing and pain induced hysterics. Don’t think I have ever had quite so painful a massage! Did the trick though. Anyway the conversation was how boring just being an athlete can be. My masseur, Pete, is also a training partner and for the past few weeks has been on summer holiday from his main job of teaching. He’s getting to live the full-time athlete life style for a few weeks, but is already looking forward to having more variety in his life again. I had to agree to an extent it’s true, every day it’s get out there train, eat, rest, train some more and then sleep. It’s a good job I love this stuff! OK and to be honest it’s still way more fun than a real job! So anyway here’s the last couple of days of my life dumped onto the web for everyone to ‘enjoy’. Monday is a day for all 3 sports. I wake fairly early and am pretty hungry already. I’d decided on an easy ride to start the day and not too long so have the luxury of a proper breakfast before I head out. I also waste some time on the internet meaning I end up heading out about 30 minutes later than planned. No problem really except I’ve agreed to meet Pete at the pool at midday so I’m cutting into my recovery time. 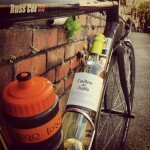 I ride South down the beaches at a pretty cruisey pace, I had planned to go easy, maybe this is a bit too far though! Still get back and this week the rule is a 30 minute run off the bike. So I set off along the beach front but really reigning in the pace. There’s been talk of doing some intervals in the arvo. I secretly hope Pete might not be up to it! I have managed to get the first round of training done allowing me 1 hour to eat and get ready for the next session. Plenty of time especially as I don’t waste any of it on the Internet. Back on the bike for the short ride over to the pool and I’m not late. Miami Pool can be a bit like ‘Swimming with the Stars’, the other day Emma Snowshill and Courtney Atkinson were there. Pete tells me Rebekah Keat is in the lane next to ours. Admittedly he told me that the day before and it turned out to be Emma Snowshill so I’m not entirely trusting. To give him credit though he was right. Swimming with Pete is doing me some good, making me work through some intervals and introduced me to the fun of paddles. 3.7km later and were done. Plans are made to meet later for that interval run and then I get my much needed massage. Having 3 hours to spare I take the opportunity to cook up a load of pasta for the next few days lunches. Eat loads right then, but make sure it’s out of the way before the run session. Then waste some time on the Internet! Ride over to Pete’s gym and get changed for the run. One of the advantages of a hot, sunny beach environment is you can go run in just shorts. I’m mainly concerned with the savings in washing, nothing to do with improving the tan or just showing off. Besides I’ve opted to wear compression socks so it’s not my greatest look. Pete wants to do 6 sets of 3 minutes on at 3:30 minute kilometre pace with 2 minutes recovery. The first one doesn’t feel as bad as I thought it would, in fact this should be fine. By the time we get to the sixth the pace had clearly dropped a little and both of us are getting stomach cramps! No vomiting though which has got to be a good thing. We jog back and discuss how good the scenery is along the coast. There are times you have to appreciate beach culture and how it involves so little clothing! My day was finished with the previously mentioned painful massage. Today my plan was a nice long ride. Seven hours going down through Murwillumbah, Mooball, into Brunswick Heads and then back up the coastline. The weather was nice, a little cloudy in places, but warm. I woke up feeling hungry again, but with a long ride needed to be out the door so it was just a snack for brekkie. The first hour of the ride is cruising to get the legs moving and make sure they’re not too sore from that massage. Despite the low pace I pick up a guy with an impressive moustache on my wheel. He never speaks to me, but sticks to my wheel for about 20 minutes. Around 3 hours into the ride I decide my eating plan was a little too conservative as I get a dip in energy. Power output drops a little and I start fantasising about foods other than the cheap Coles muesli bars I have on me. I wasn’t far from Brunswick Heads where I could stop at the Servo for much needed Coke, Powerade and a Snickers bar. From there I headed home and for once a tail wind over the rough coastal roads. The influx of calories did the trick too and my power picked back up again. A speed bump in Kingston added to my tally of Aussie road induced equipment failure. The mount for my Garmin 705 gave out sending it flying. Fortunately it was still working fine though, just got to get a new mount now. I got home pretty much on 7 hours, having run out of fluids a little sooner than I hoped. Still the rules say a half hour run off the bike so a quick change, down a load of water and out the door. I shoved a muesli bar in my short’s pocket just in case. I also added $5 as a bit extra in case it really went bad! Normally I carry my emergency gel that I’ve had since WA, but I’ve lost it! I survived the half hour without needing the muesli bar or $5. I got back feeling pretty empty so time to eat and eat and eat! I’m pleased Pete isn’t up for the mooted 3:30 swim session so I take an extra hours rest before heading out to the pool. Without a strict time to be there I walk rather than ride, been on the bike enough today. Also it means I can allow myself a treat of a couple of biscuits from a bakery on route. Only on a big ride day! Though I’ll be honest it’s not that good a bakery, but it’s the only one en route. No celebrities at the pool at this time of day. I knock out 3km one way or another and am actually starting to feel quite good by the end of it. Then a quick walk home for dinner, I get back feeling ravenous and a little light headed! Since then it’s been eat, rest and of course waste time on the Internet! Though in this case this lovingly crafted blog post is the result. Sleep soon and then more of the same tomorrow. A long run up the beaches probably to start.